A lot of data is evolving in Internet, where readers do not find a proper solution and understanding to their searches. Either you are confused with results you get or waste time on reading duplicate data which means almost the same thing. This is the time many of us do a proper research and analysis of concept on which we are looking forward and make Infographic. Now, what is Infographic? Infographic is a data visualisation tool, which gives you full information in a good graphic image or video format. As graphically it is always more easy to understand and grasp information. Information which is used in the Infographic is highly researched and analysed to use the data in a very useful manner. 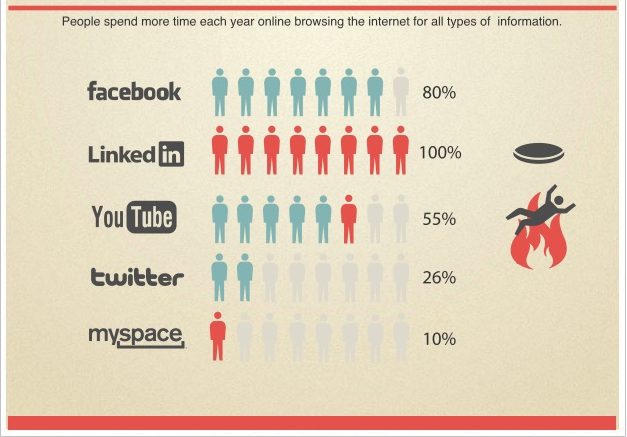 Social Media is also a reason which is bringing new ideas and making Infographic a buzz in Internet. So today I am sharing few tools which will be helpful for you to create free visualisation graphic images. Infographic mostly shows the graphs, charts and various shapes of images. But with these free tools you can make a cool graphic design for your Infographic. 3. Infogr.am: Provides tools for Infographic, but is not that advanced. You can insert graphs charts, maps, and your own customized text. There are six limited themes which can be customized by data and other available designs. The application is fast but due to limited resources you may not have variety of designs in your Infographic. 2. Piktochart: this is a good tool with various designs. Many high graphical designs are shared to use in your Infographic, the color can be customized according to the text, chart, shapes and theme graphic. Rotate the images and graphics to get a good visual look. But the problem is that its limited to only three themes. But you can also upgrade your account for $29/mo, which helps you get more rich features of this online service. Related Post: Tablets may cause more Health problems. 1. Easel.ly: This is a perfect Infographic creation tool with lot of customizable options. After using this web app I got to know that this rich web application is built up in a WordPress open source platform. It gives various designs which both the above services don’t give. In the object tab itself it gives a huge list of category and choices of highly well designed graphics. You can even add your images by changing the gradient background and make the Infographic more live. Selection of colours with quality fonts for your text. I would recommend Easelly from all other services as it’s the best user-friendly tool and absolutely free to create Infographic. I hope you will enjoy creating Infographic for other users to make them understand what you actually want to interpret. If you like this blog please follow me on Twitter @buggingweb, like the Facebook page and add us in your Google Profile. « Rolex Awards for Enterprise finds Indian young Laureate.